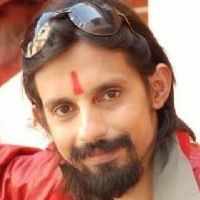 Check out the most updated and latest information about Aakash Pandey's on the Internet.Aakash Pandey has over 54 Fans registered on India-Forums.com. We have 2 Television News articles related to Aakash Pandey.Do share your criticism, comments and feedback for the Actor on Aakash Pandey's comments page. We have over 12 Photos of Aakash Pandey to view and download including Aakash Pandey's Wallpapers. Hello Aakash Pandey, enjoying your appearance in Reporters. Missed you after Hitler Didi shut down. Best wishes and take care. Jo hue bemakaan..Raadhey aaye unke kaam..
Love your scene with rishi and munna bhaisab. Its my pleasure to write you after viewing your profile and i just want to say hello and how was your day? use this email to mail me in my yahoo mail (vivian2012anderson @ yahoo. in) so i will give u my others picture. to see more. I've heard it is your birthday! So happy birthday!!! Congrats for one year anniversary . Great entertainment .